If you want to make sure that your compound bowstring stays in good shape you will need to make sure that it stays waxed. Waxing your bowstring is a maintenance procedure that should become a regular routine to help protect and prolong its life. If you are in need of the best wax for your compound bowstring, we are happy to help. We provide all of the supplies you need for your bowstring, including wax. We have been creating high quality custom bowstrings for over 13 years. 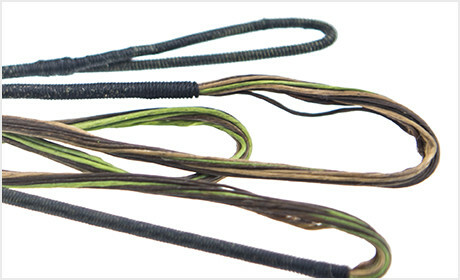 With our efficient production and quality materials, we proudly make unbeatable custom bowstrings. If you want to personalize your bow with your favorite colors and make it your own, we can help you. We want you to have a bow that stands out and is made to last. For bowstrings that give you the best performance and longevity, we have just the right ones for you. 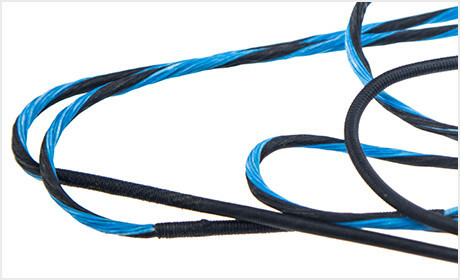 We are proud to provide excellent custom bowstring services and top quality archery supplies from custom bowstrings, wax, to silencers, to accessories, to peep sights, to D loop material, and much more. We are passionate about the sport of archery and want to share that passion with others. Because we want you to shoot well and have fun we make sure that all of our custom bowstrings are made with high quality materials and in the most efficient and effective manner.